Addiction is too often viewed only through the prism of sadness and pain. 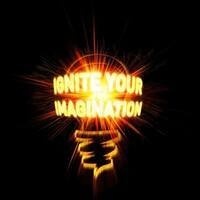 At this event, you are invited to imagine the greater possibilities as we celebrate the creativity and optimism of the writers from The Imagination Lab. The Imagination Lab is the brainchild of Karen Reese, Executive Director of Man Alive, Inc.—the first and longest running methadone maintenance clinic in Maryland. The lab was created to explore and nurture the creative talents of those in medication-assisted treatment for substance use disorders. The program will be hosted by Don Riesett, an accomplished writer and international business executive, who has for the past four years volunteered his time with The Imagination Lab. The writers he has guided will share creative non-fiction selections of which they are rightfully proud. Their work lends credence to Albert Einstein’s famous quote: “The true sign of intelligence is not knowledge, but imagination.” Work by collagists attending a Vision Board class will be on display as well.